Hearing about and glorifying the Lord are identical with the transcendental nature of the Lord and by so doing one will be always in the association of the Lord. This brings freedom from all sorts of fear. 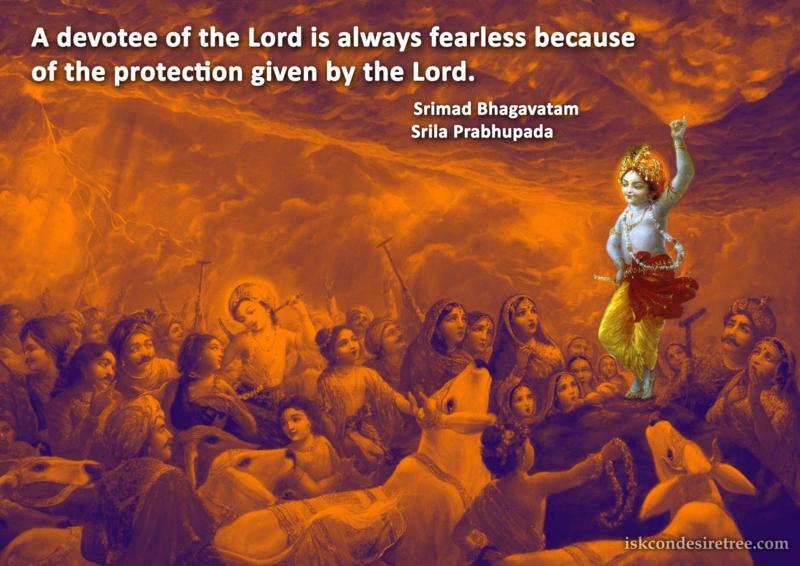 A devotee of the Lord is always fearless because of the protection given by the Lord. If we understand that body, intelligence, family and wealth belongs to God, there is no fear.